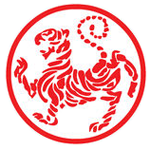 Shotokan Karate is a traditional Japanese style that is practiced all over the world. 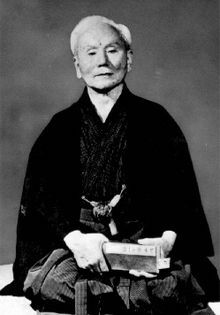 Its founder, Gichin Funakoshi, blended two styles of martial arts he learned as a boy on Okinawa into what is now called Shotokan Karate. Shotokan is considered a hard style of Karate due to its powerful kicks, strong linear techniques, and low rooted stances. The emphasis is on building a strong character as well as conditioning the body. Karate training offers many benefits to students of all ages and can be practiced by anyone with no special equipment. Age appropriate curriculum that develops strength, coordination and balance. A formal Karate class that introduces blocks, strikes and stances. Develops body strength, coordination, and timing. A formal program with additional strategies to deal with the clhallenging aspects facing teens. A formal Karate program emphasizing traditional Karate with self-defense applications. We have students in their 40s, 50s, and 60s who train consistently. Some people feel that after a certain age you can no longer train in Karate (this may be true at some other schools), but we help develop both the mind and body. Many of our exercises have been proven to provide health benefits, such as offsetting Alzheimer's disease. Our training regimen is adjusted to best fit our students' needs, and the rewards will be different for everyone. Please note: Upper belt junior students (purple, brown and black belts) may also attend the green and blue belt classes. *Class duration is slightly longer than what is shown on the registration page but please follow the above schedule. ***Newly added, taught by Senpai Brenda. No uniforms or equipment necessary.